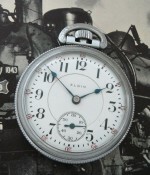 American Waltham Watch Company "Seaside" pocket watch, circa 1905. 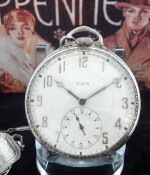 A crisp, engine-turned Victorian hunter case can be carried as either a man's or ladies timepiece. 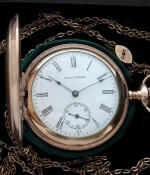 Offered with a matching Victorian slide chain; presented in a period box.